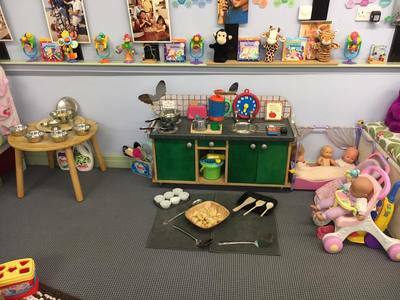 Messy area - within this area the children experience some interesting messy activities including; painting, sand, water, playing with mash potato or even jelly. 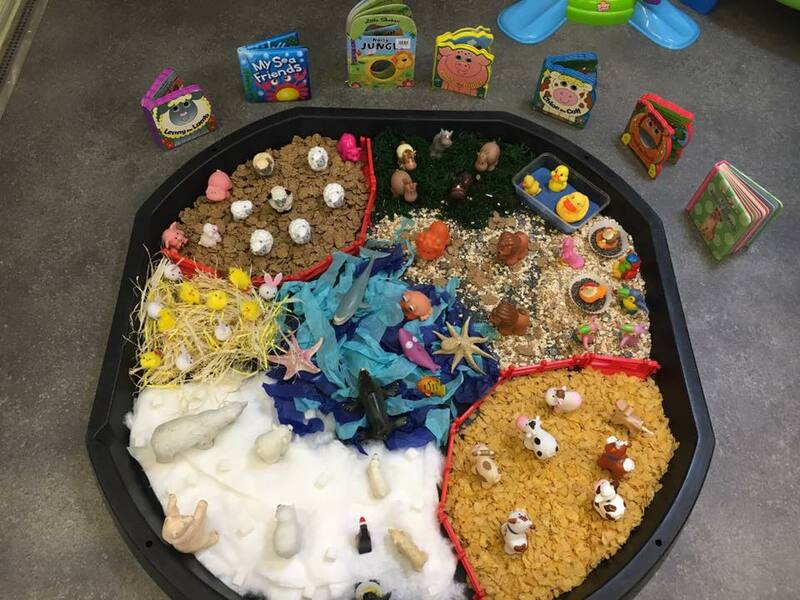 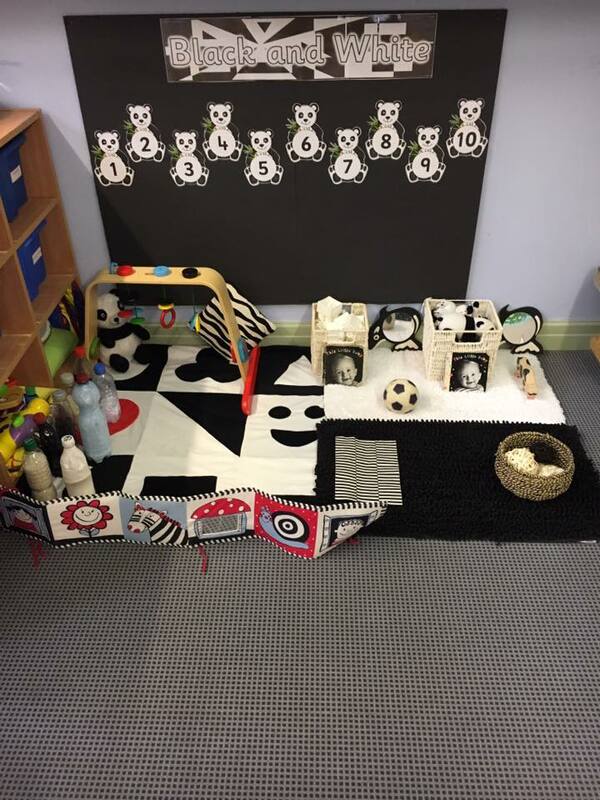 Small world area - the children can play with animals, train set, cars. 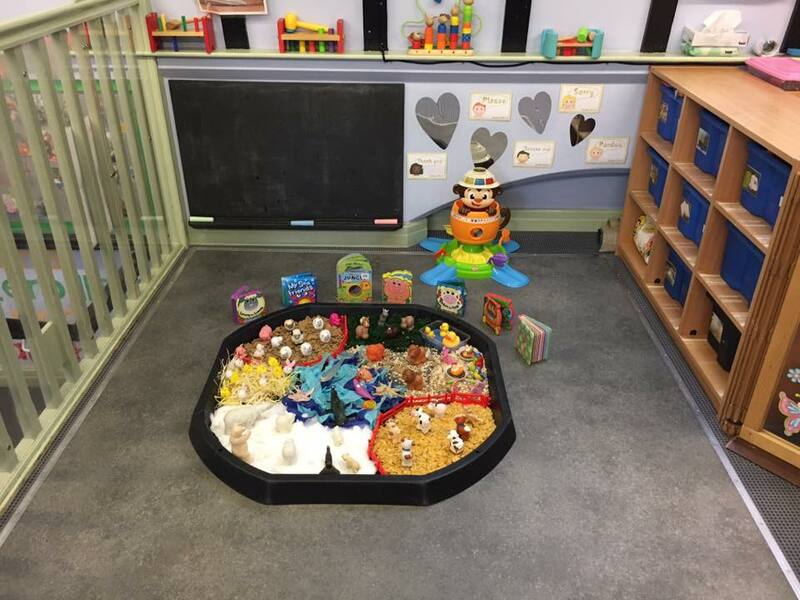 Physical play - slide, large soft play bricks, ball pool. 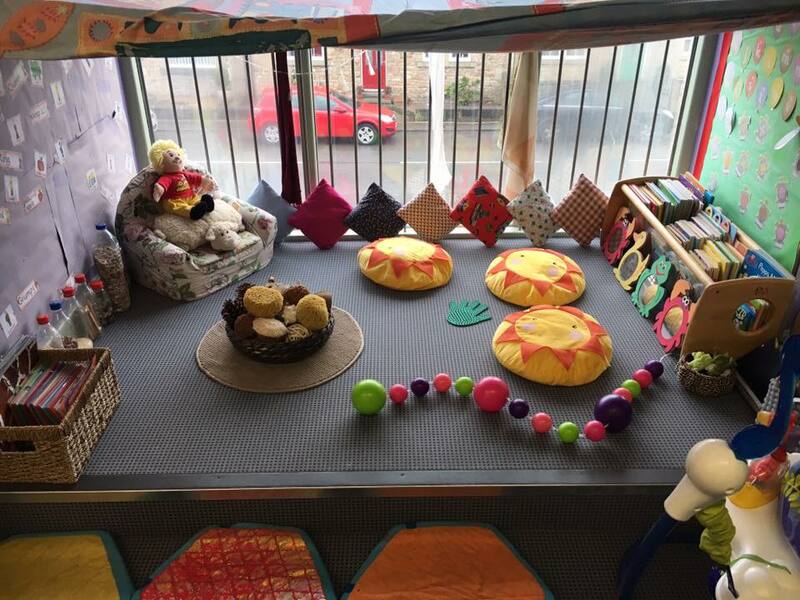 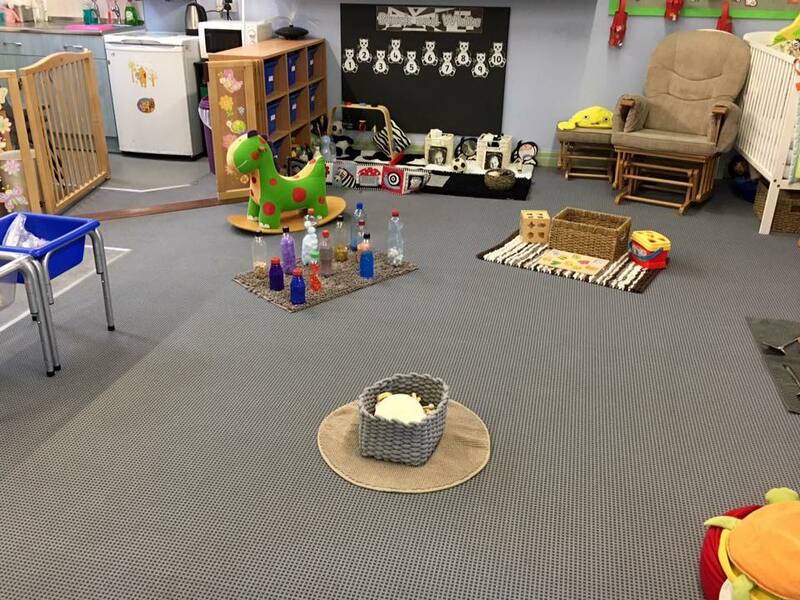 Comfortable/Sensory area - with bean bags, cushions and little comfy chairs where the children can look at books or have a rest if they choose.